General Secretary of the Indian American Friendship Council (IAFC), a national, non-profit organization based in Washington DC. IAFC has the charter to build stronger Indo-US relations on political and economic development areas. Asian Advisory Board Director, Dallas County Community College District (DCCCD). DCCCD is the largest undergraduate community college in state of Texas serving 1.5 million people. Trustee, Texas International Theatrical Art Society (TITAS). TITAS provides world's finest performing ensembles to the Texas State community. Prasad is the first South Asian to be elected (in 2006) to this coveted position and will serve two years in this capacity. President, India Association of North Texas (IANT) (2002-2003). IANT is a 501 (C) (3) non-profit organization, which represents over 100,000 Asian Indians in the North Texas area. Prasad is the first person of Telugu origin to hold this prestigious position in 40 years History of IANT. Prasad is a Life member. President, Telugu Association of North Texas (TANTEX) www.tantex.org (2000-2001). TANTEX is a 501 (C) (3) non-profit organization, was formed in 1986 as a non-religious organization with the goals, to maintain, preserve and perpetuate the cultural heritage of Telugu speaking people of North Texas whose numbers exceed 8,000 families in DFW area. Prasad is a Life member. Chairman, Seva Committee, DFW Hindu Temple Society, Irving TX www.dfwhindutemple.org (2000 &amp; 2001). DFW Hindu Temple Society was started in 1981 with a mission to provide a place of worship and be the spiritual resource center for the Hindu Community living in the metropolitan area of Dallas-Fort Worth Metroplex and surrounding areas. Prasad has contributed extensively for the grand success of “ Sri Balaji Brahmotsavam ” (February 29 – March 2, 2008) which raised over $200K for the Temple. Prasad is a Life member. Secretary, Telugu Association of North America (TANA) www.tana.org (2007-2009). Got elected unanimously to this coveted position. Treasurer, Telugu Association of North America (TANA) www.tana.org (2005-2007). TANA is an organization of people of Telugu origin residing in North America, to preserve and propagate the Telugu cultural heritage and maintain the identity of people of Telugu origin and to provide a forum for Telugu literary, cultural, educational, social, and charitable interactions among its members. Prasad is a Life member. On October 2, 2006, As the General Secretary of the Indian American Friendship Council (IAFC) a national, non-profit organization, Prasad was instrumental in introducing Hindi language courses for High School Students in HEB School District which is a remarkable achievement. As the General Secretary of the Indian American Friendship Council (IAFC), he has established an impressive rapport with US Congress members –Senators, House Representatives and other local & state elected officials, policy makers by bringing them to closer to the Indian community by arranging interactive community gatherings, receptions and fundraisers. In 2002, As President of the India Association of North Texas (IANT), Prasad’s amazing work in securing the freedom of 52 Indian workers who were held in virtual captivity at the John Pickle Co., Tulsa, Oklahoma state will be forever remembered by all Indians across the globe. In 2004, Prasad’s tireless efforts led to release Rayan Babu Yellina form Homeland Security Custody who was arrested on false passport alteration allegations. Prasad’s persistent work was appreciated by all and was highlighted in the National and International media. In October, 2004 when Sai Boddu, a University of North Texas student went into coma due to a major automobile accident, Prasad immediately formed a “Help Boddu - Volunteer Team” and raised more than $40,000 in a short period of time. Prasad was the main contact person to the Dallas Methodist Hospital authorities, oversaw Sai Boddu’s treatment efforts and helped Boddu family to cope up with this trauma who was visiting from India. After several months of vigorous rehab and physical therapy in India, Sai Boddu is back to normal now and returned to USA recently. In 1999 Prasad initiated a project in his home district with the help of fellow NRIs called“Krishna District Educational Development Fund”(KEDFUND) to help financially challenged and educationally talented students irrespective of their caste, creed and religion. So far, KEDFUND committee has provided close to 900 scholarships which covers one full year of tuition fees, textbooks and all other expenses to go to college after 10th class. As a Treasurer of the India Association of North Texas, Prasad was one of the instrumental members in raising $51,000 (more than Rs. 20 Lakhs), which was donated to “Army Central Welfare Fund” India, through Hon. Naresh Chandra, Indian Ambassador to the USA to help the families of Kargil Soldiers in 2000. 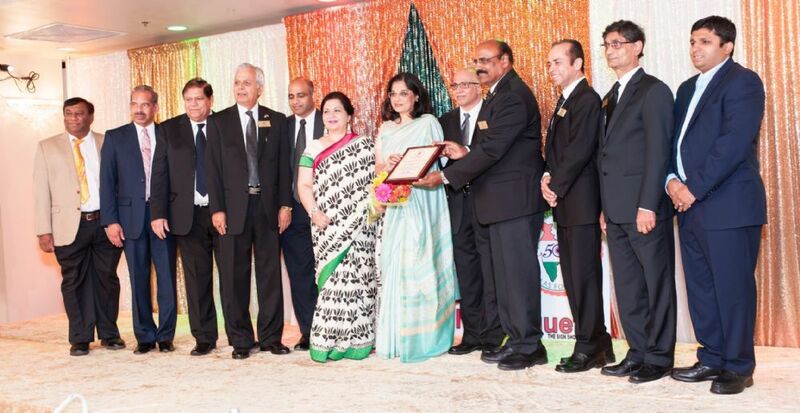 As a Vice-President of India Association of North Texas, Prasad worked very hard along with other Board of Directors and raised $75,000 ( more than Rs. 37 Lakhs) to help the victims of Orissa Cyclone in 2000. As a President -Elect and Fund Raising Chairman of “Gujarat Earthquake Relief Fund” – Prasad planned, executed and raised more than $500,000 (about Rs. 2.5 Crores)in 2001 to aid the Gujarat Earthquake victims with the help of other dedicated volunteers in the community. As a President-Elect and Mentor of the Community Outreach Forum of IANT, Prasad helped Indian Students Association of University of North Texas, Denton to raise more than $10,000 in few days and made all the arrangements to send mortal remains of a deceased student at the University of North Texas, Denton, TX to Hyderabad in 2001. As a Chair, Community Outreach Forum, India Association of North Texas, Prasad headed an International project to help hundreds of refugee children through DFW International Association. As a member of Sponsorship & Fund-raising committee, of Lord Balaji Brahmotsavam Event, Prasad has helped raise nearly $200,000, February, 2008. As a Co-Chair & Chair of Seva Committee, DFW Hindu Temple Society, Irving, for several years Prasad coordinated food drives at Austin Street Shelter, Dallas and Arlington Night Shelter, Arlington. Prasad also coordinated cloth/ food can drives to help the battered Women through Irving Cares Inc., Irving. Prasad was instrumental in adopting schools and helping the needy students with clothes and books through D/FW Hindu Temple Seva projects. He received special appreciation and recognition when he actively encouraged and involved Youth in these community service projects. Prasad was instrumental as founding member in introducing “Nela Nela Telugu Vennela” a monthly literary meeting of literary enthusiasts under TANTEX since July 2007. As a Chair of Community Services, Telugu Association of North Texas, Prasad organized several Blood Drives (including one during Oklahoma City bombings) and Bone Marrow Drive projects to help the community. As a Fundraising Chair, Prasad lead a team of volunteers to coordinate the fundraising efforts during the Andhra Pradesh Cyclone in 1996, and collected funds that were sent to India. As a President of Telugu Association of North Texas and Convener of TANA 2000 Regional Conference, Prasad was instrumental in bringing the whole community together and arranging a memorable TANA conference in Dallas in the year 2000. Prasad’s efforts were widely appreciated by the entire community when he took a lead to arrange a community awareness meeting with CPS (Child Protective Services), highlighted Ms. Jyothi Kavali’s case through TV media and press. Because of his tireless efforts, 6 year old Jyothi Kavali was placed in an Indian foster care from an American foster care successfully. Dr. Prasad Thotakura had a very close association with the veteran movie actor Padma Vibhushan Dr. Akkineni Nageswara Rao (ANR) for many decades. Dr. Thotakura was instrumental in inviting and bestowing “TANA Lifetime Achievement Award ” on Dr. ANR in a grand celebration on Dr. ANR’s 89th Birthday, held in Dallas, TX in September 2013. 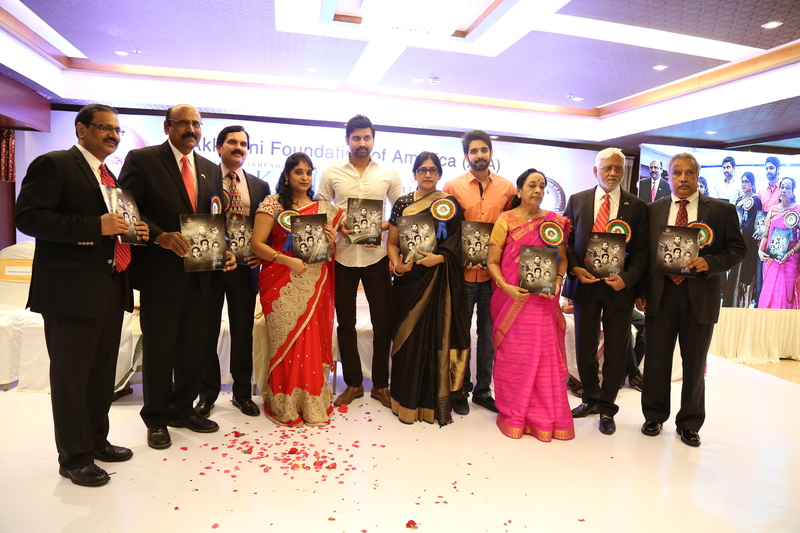 After the demise of Padma Vibhushan Dr. Akkineni Nageswara Rao (ANR) on January 22, 2014 at a condolence meeting that was held in Dallas, TX, Dr. Thotakura initiated and formed an organization named “Akkineni Foundation of America (AFA)” along with his fellow like-minded friends. The purpose of AFA is— (1)To institute awards on Dr. ANR’s name and honor people from different walks of life who strive for better society; (2)To conduct events that will carry forward Dr. ANR’s ideology in the areas of education, health care, selfless community service for a better society and passing on the cultural values to the next generation. Dr. Thotakura served as the founding President of AFA for the years 2014 and 2015. Under his leadership, in 2014 the ‘First Dr. Akkineni Annual Awards Gala’ was held successfully in Gudivada, Krishna District, Andhra Pradesh on December 18, 2014 and the ‘Second Annual Awards Gala’ in Hyderabad, Telangana on December 20, 2015. He is a naturalized US citizen having been born in Gannavaram (near Vijayawada city), Krishna District, Andhra Pradesh, India. He migrated to USA in 1986 and currently resides in Fort Worth, Texas with his wife Swarupa, a computer programmer; married daughter Prasanthi, a practicing Oncologist at Fort Worth, and son Sudhir, who is pursuing Cardiology medical fellowship program at Temple, TX. Prasad has done an excellent job of increasing the awareness of Telugu language and its literary heritage by holding several literary activities. As a Chairman, Telugu Language Development Committee, he was instrumental establishing Telugu Language Courses along with permanent faculty at University of Texas, Austin in 2007. This program has successfully imparted Telugu language skills to over 40 Telugu learners to date. He is one of the members of Advisory Board of Directors for UT Austin-Telugu Students Association. Anticipating the urgent need for American born/raised youth of Telugu heritage, Prasad developed TANA International Internship Program (TANA-IIP Program) in 2007 which is an instant hit. It is conducted once in two years. As a Chairman of TANA-IIP Program, he conducted the first course with 5 Ambassadors graduating in 2007. This program trained youth of Telugu origin to become culturally, and professionally conversant with Andhra Pradesh and their roots to become brand ambassadors of that heritage while bridging with their US background. TANA IIP became part of TANA activities and being continued in 2009 to accommodate 10 eligible youth. Based on the demanding needs of the growing Telugu community, TANA developed TANA Emergency Assistance & Management (TEAM) program to provide emergency assistance to needy under the able guidance of Prasad. Some of the beneficiaries of this new program include the recent fatal acts of violence against Telugu students in several states where appropriate financial, moral and physical support was extended. This program has a budget layout of over $100K and is being well managed under his key direction. For a long time, Dr. Prasad Thotakura had a dream of building Mahatma Gandhi Statue in the Dallas Fort Worth metro area to memorialize him as the icon for world peace. Dr. Thotakura initiated the project, involved all communities and worked relentlessly for more than four and half years in convincing the City of Irving, TX and got approvals to build Mahatma Gandhi Memorial Plaza. 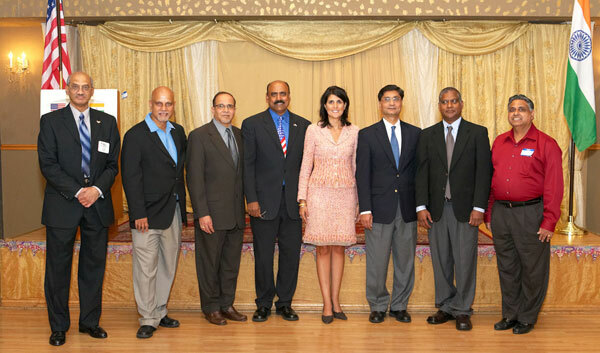 After getting approvals from the city, Dr. Thotakura invited honorable South Carolina Governor Nikki Haley as the Chief Guest for the ground breaking ceremony of the project on May 3, 2014. Dr. Thotakura, a team player showed his leadership and played a pivotal role in raising more than $800,000 within a short span of 5 months to build the largest Mahatma Gandhi Memorial Plaza in the USA. Dr. Prasad Thotakura has invited Mr. Satish Dhupelia, the Great Grandson of Mahatma Gandhi to inaugurate Mahatma Gandhi Memorial Plaza in an historic grand ceremony that was held on October 2, 2014. 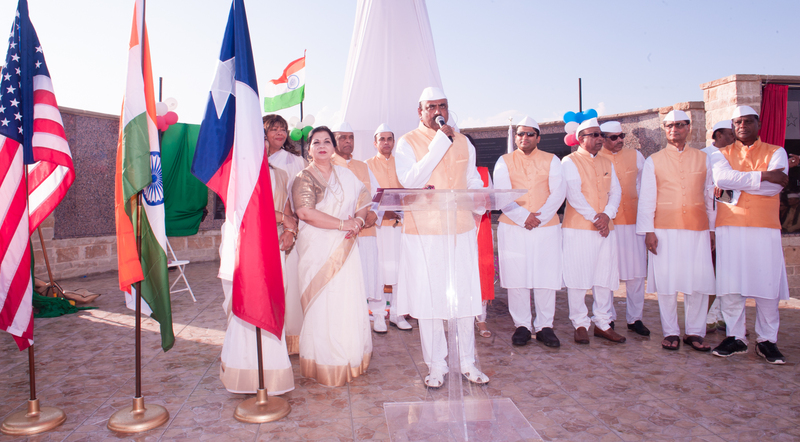 Dr. Thotakura has been serving as Chairman of the Mahatma Gandhi Memorial of North Texas (MGMNT) since its inception.